Muncie Power's FR3C power take-off gives you the maximum torque available from the Ford Torqshift transmission with a keyed shaft output. Muncie’s updated FR66 power take-off gives you the versatility of mounting larger hydraulic pumps to handle a variety of heavy duty jobs. Our PTO utilizes a one-piece housing design with forced lubrication for increased durability and simplified installation. The FR66 incorporates integral mobile or stationary functions and a higher torque capacity of 200 lbs.ft. 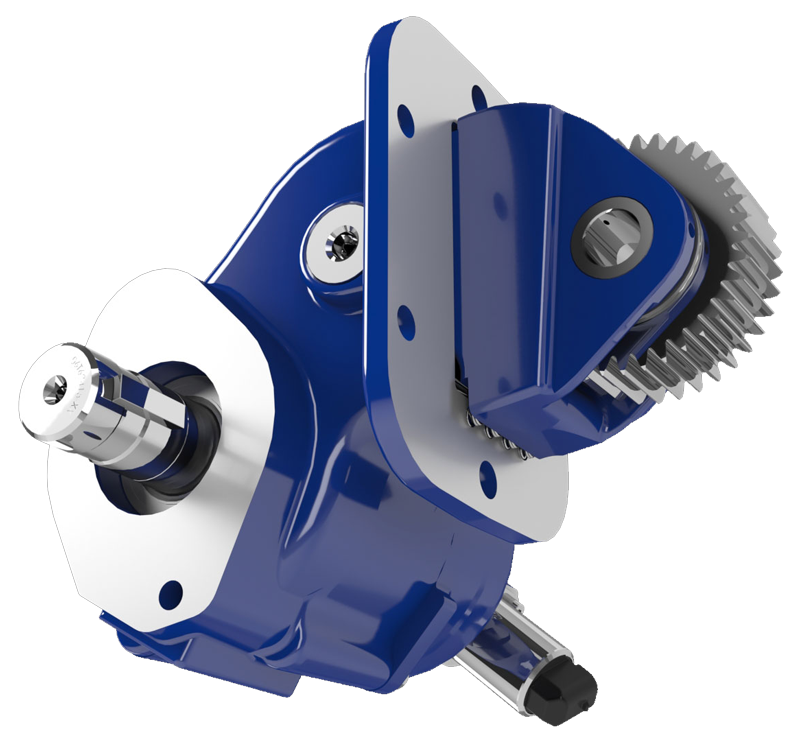 The MB Series Low Speed High Torque Motor is available in 13 displacement sizes. The MB Series motor utilizes a spool valve design and delivers high efficiency across a broad torque range. The MJ Series Low Speed High Torque Motor is available in 10 displacement sizes. The MJ Series motor is constructed using heavy-duty roller bearings designed for extra side load capacity. The Optimum W Series gear pumps/motors offer premier performance for a wide variety of applications across several industries. Featuring the innovative OPTI-Grip® technology, the Optimum W Series exemplifies strength, endurance and rigidity making for long lasting units even in the most extreme conditions. The W Series is the smallest range of the Optimum group, providing 8 displacements to cover low flow, higher pressure requirements. The PH Series is an all cast iron bushing style gear pump with displacements from .62 to 2.48 cu. in./rev. Gear adapters mount between the vehicle transmission and power take-off to increase clearance and/or change rotation.